*Price is subject to 3 people travelling, pls contact us for individual departures. 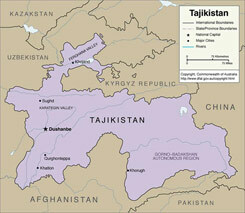 Welcome to Tajikistan - a small mountainous republic on the southern tip of Former Soviet Union. Beautiful and remote it was very popular destination within USSR but closed for the outside world during Soviet times. Not much changed once USSR finally broke up as a civil war eventually spread over the country for five long years and prevented Tajikistan from opening up for international traveler as well as destroyed most of the infrastructure. These days Tajikistan is a newly independent republic, peaceful and magnificent covered by Pamir and Pamir Alai mountains know as the roof of the world, Tajikistan offers an endless list of opportunities for silk road exploration, trekking, high altitude mountaineering, horse and camel riding, white water rafting, heli skiing, cultural experiences or simply relaxing in the mountains enjoying dramatic mountains scenes and turquoise lakes. The Silk Road explorer would find here a well known Pamir Highway - The highest road in ex-USSR that laid at the altitude over 4000 metres. 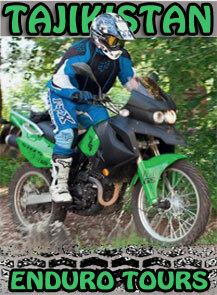 There are only a few paved motorways in the whole world built so high. The climber's paradise would be the three giants of the Pamir mountains: Peak Communism 7495 m- recently renamed to Somoni, Peak Lenin at 7134 m and Peak Korjenevskaya at 7105 m above sea level. For less demanding adventures - trekking and walking tours in Fann mountains, just across the border from Uzbekistan, would be especially popular. 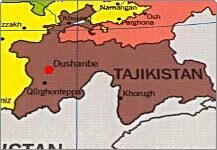 Since time immemorial Tajikistan was located at the crossroads of cultural exchanges between India, Iran, Afghanistan and the Middle East. Silk Road routes passed through its territory, and what's more, Lazurit Road, known to be older than Silk Road, started in Pamir Mountains then caravans carried out lazurit extracted in Badakhshan to India which present Tajikistan used to border along Pyanj river before British and Russians created a buffer zone here to separate their influences in region. There is clear evidence of Zoroastrian civilization existed here, as well as Buddhist, Hindu and Christian imprints. More recently, Islamic culture that swept all over Central Asia following Arab invasion has left some fine examples of its art and architecture. And of course the Soviet part of Tajikistan history of the 20th century has left its mark in architecture and art such as soviet monuments including famous Lenin statues and engineering achievements like Nurek Hydroelectric Dam which recognized as the tallest artificial dam in the world. Nevertheless the main Tajikistan attraction remains in high mountains, untouched nature and incredibly friendly people what inhabit this corner of the world. 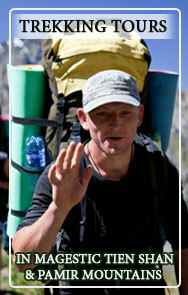 Tajiki love guests so meeting locals and staying in their houses would be another great highlight of your trip.